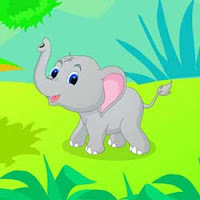 Escape Pulpy Food is the escape game, from ajazgames , A Elephant calf is searching for food in forest. The calf find pulpy fruit in the tree. since calf is so short to catch the pulpy fruit,help the calf to get the pulpy food by finding clues and solving puzzles., have fun playing free online escape games new point and click escape game from ajazgames.